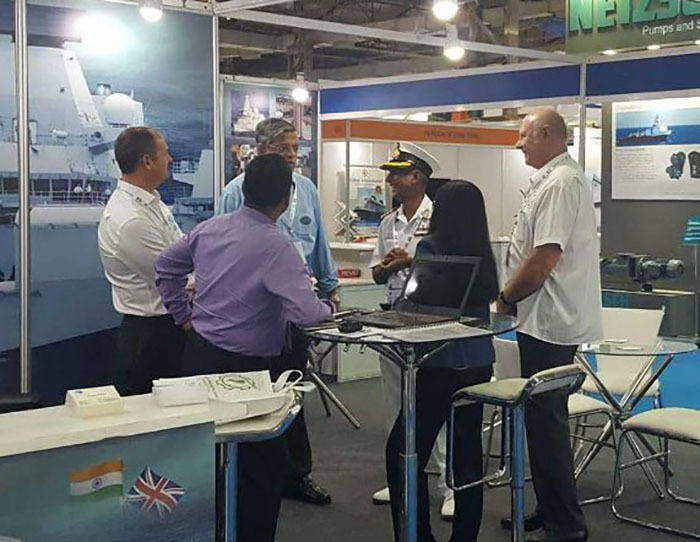 INMEX SMM India 2017 was a great success and Tex Special Projects would like to send out a big thank you to colleagues, partners, clients and industry leaders from 32 countries. Once again INMEX has proved to be an unrivalled venue and allowed us to demonstrate our unrivalled expertise in advanced glazing systems for both military and civilian application. INMEX SMM India 2017 was a great success. 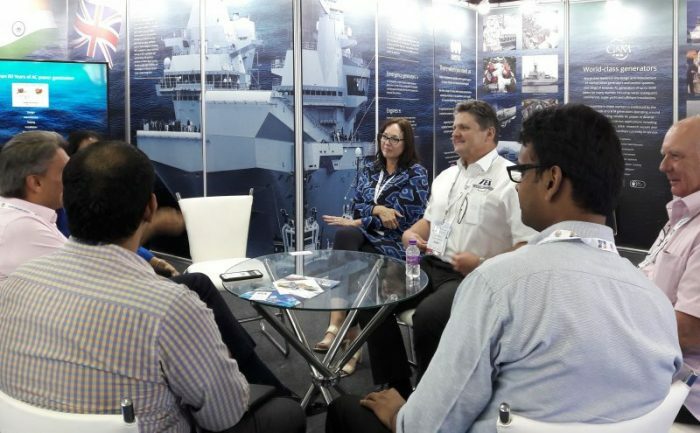 The Tex Special Projects stand featured UK’s Royal Navy Queen Elizabeth Class Aircraft Carrier, the biggest and most powerful warship ever constructed for the Royal Navy, and showcased the technologically advanced FLYCO (Flying Control Room) designed and manufactured by Tex. In recognition of the contribution to both the project and the innovation of such an advance in glazing for the maritime environment, Tex Special Projects was awarded the industry coveted BAE Systems Design Award. A big thank you to colleagues, partners, clients and industry leaders from 32 countries. Key members from the Pratex Power Vision Group were able to attend (see picture at top of page), including (from left to right) Shankar Mathur (Director, Pratex Power Vision), Ratee Prasad (Managing Director, Pratex Power Vision), Amanda Ritchie (Technical Consultant), Stephen Codd (Managing Director, Eurotex International), David Ritchie (Technical Consultant, Tex Special Projects), and Greg Chadwick (Managing Director, G&M Tex).